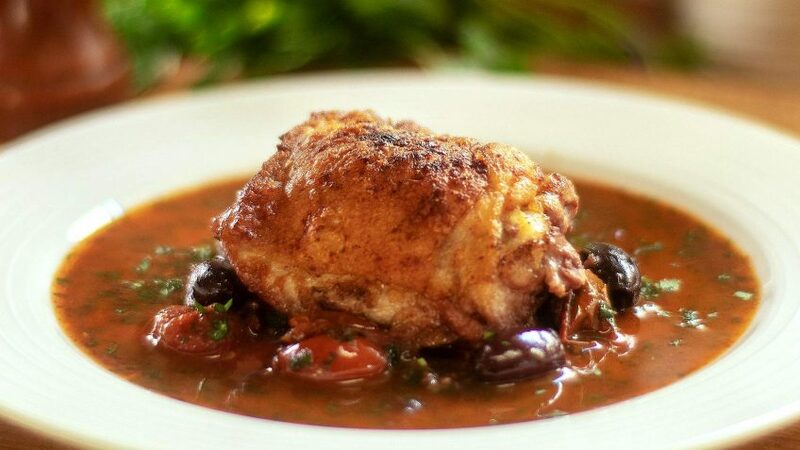 Crispy skin chicken thighs, with basil, garlic, cheese, cream, wine all the good things! 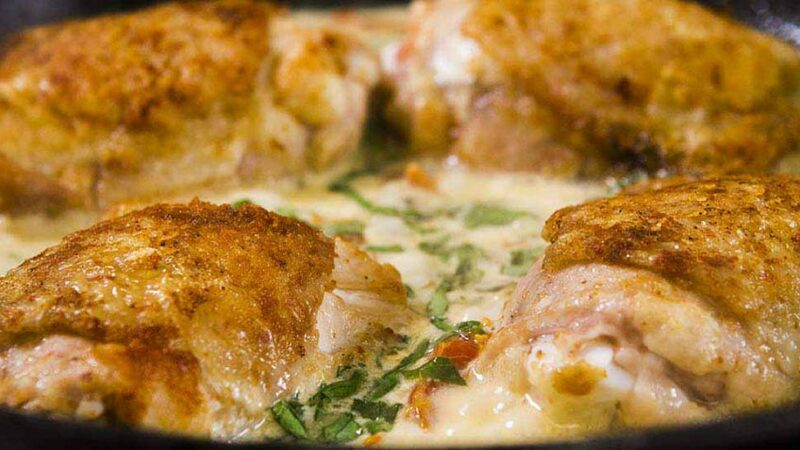 Creamy Chicken Milano is cooked using chicken thighs with the bone (chops). It’s the cooking with the bone that keeps the thigh juicy and flavourful making it the tastiest part of the chicken. 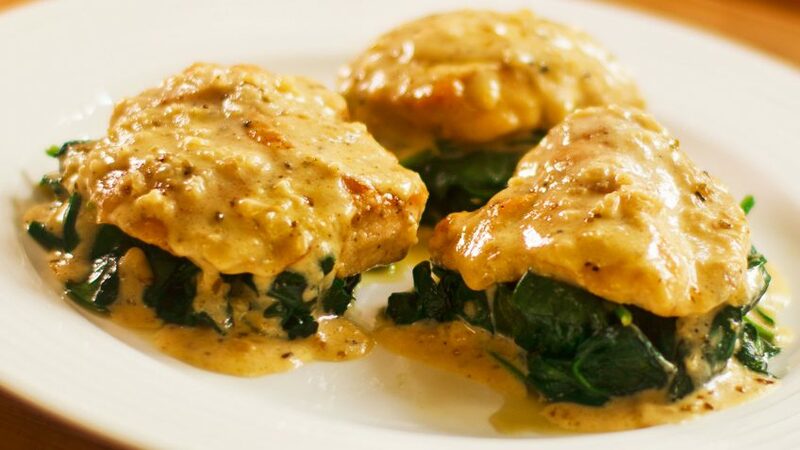 Similar to a Fricassée, It’s first sautéed in olive oil and then gently braised in the oven in the Parmesan cream sauce until cooked moist and tender. Always a hit with any chicken lover. An explosion of Italian flavours! Sprinkle some cayenne pepper on both sides of each thigh. Season both sides with kosher salt. 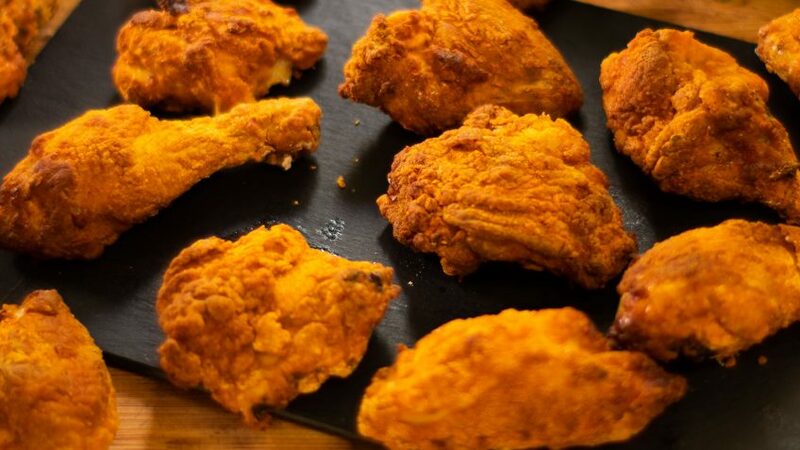 Place the flour on a plate, dip each thigh in flour, coating each end too. Pat off any excess flour. Place a frying pan on medium to low heat with the olive oil. Once the oil is hot, place each thigh skin side up (to first seal the bottoms) and cook gently for approx 5 minutes or until golden brown. Once thighs are golden brown, turn over skin side down for another 5 minutes or until golden brown. 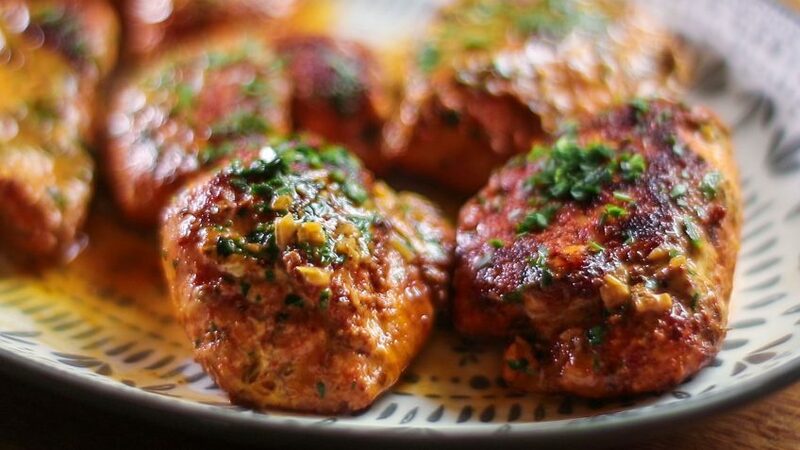 Turn thighs back skin side up and set aside on a plate. Turn the heat to low and add the three garlic cloves using a grate or garlic press, gently sweat. Slice the sun-dried tomatoes and add to frying pan. Add the thyme, keep stirring the ingredients. Add the Parmesan cheese, mix and reduce sauce for 3 minutes. Shred the basil leaves using a knife and add half to the sauce. Return the chicken thighs skin side up to the frying pan with the sauce. Bake in oven at 180ºC – 350ºF for 20 – 25 minutes. 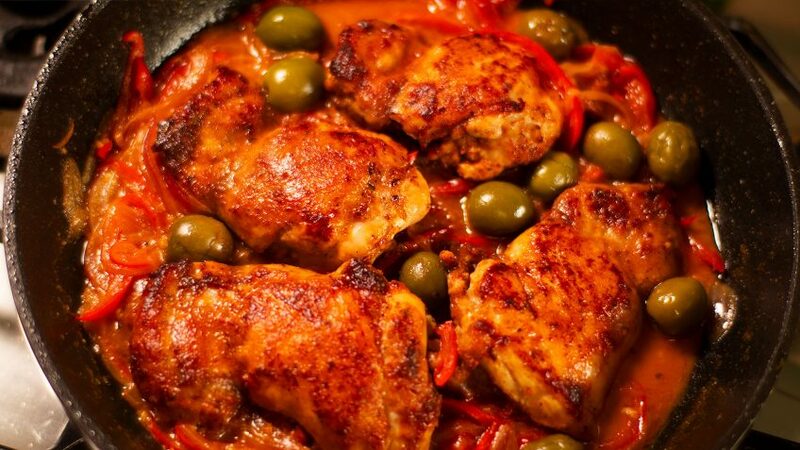 Place chicken thighs on hot serving plates. Add the remainder of fresh basil to the sauce, stir and pour over chicken. Serve with your favourite pasta with butter and grated Parmesan cheese.